The City University of New York is the nation’s leading urban public university. Founded in 1847, the University includes 11 senior colleges, seven community colleges, The Macaulay Honors College and five graduate and professional schools, located throughout the city’s five boroughs. Each of the senior colleges offers a distinctive history, as well as a rigorous baccalaureate degree program and enriching campus experience. The University’s seven community colleges provide a high-quality education through associate degree programs that prepare students for transfer to senior colleges or entry into professional careers. The CUNY Graduate Center offers more than 30 doctoral programs. CUNY School of Public Health and Health Policy, a collaboration of four CUNY institutions, offers master’s and doctoral degrees. 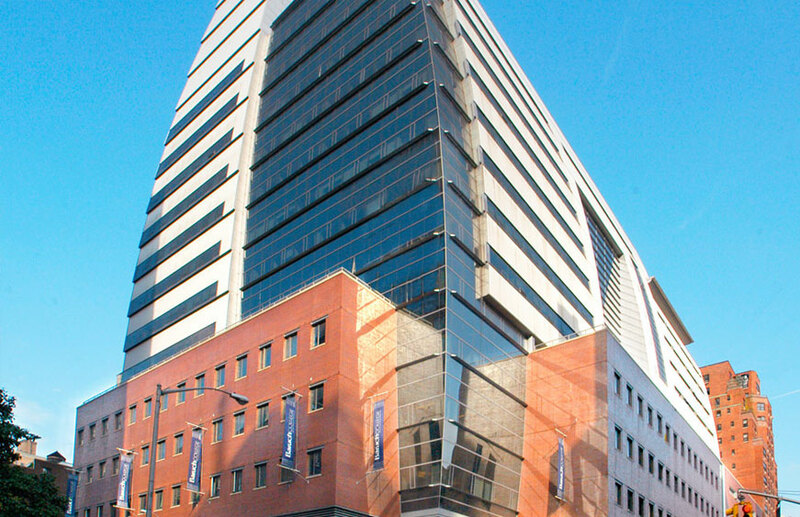 The CUNY School of Law is recognized as the nation’s premier public-interest law school. The University serves more than 272,000 degree-seeking students. College Now, the University’s academic enrichment program, is offered at CUNY campuses and more than 400 high schools throughout the five boroughs. The University offers online baccalaureate and master’s degrees through the School of Professional Studies. At the heart of CUNY’s mission rests its commitment to providing all New Yorkers with access to a rigorous undergraduate education and ensuring a successful, enriching academic experience. Graduate students at CUNY have unique access to outstanding academic departments, distinguished faculty, research opportunities, and a wealth of future job prospects. More than 7,000 international students from 100 countries currently study at CUNY’s 24 campuses. CUNY’s diverse faculty provides instruction, workforce training and research in the ever-expanding body of disciplines required to meet the needs of the city’s evolving economy. The University has conferred more than 1.3 million degrees in the past 45 years, and surveys indicate that more than three-quarters of its graduates remain in the city. CUNY colleges account for more than a third of the business and finance degrees awarded by New York City institutions, about one-third of the city’s public school teachers and a high percentage of the nurses and health and science technicians employed by local medical facilities. The University produces hundreds of computer scientists, specialists and engineering professionals each year. And over the years, it has created cutting-edge programs for tens of thousands of city agency workers.